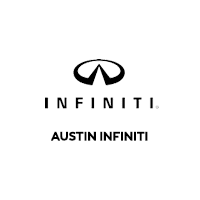 Austin INFINITI is the chosen luxury car dealer for drivers in Lakeway, Round Rock, Georgetown, and Cedar Park. We’re a proud member of the Continental Automotive Group, which has been serving the greater Austin community for over 50 years. We know INFINITI cars, and we know what our community expects in terms of quality services and fair prices. In the half century that followed, we’ve expanded our horizons to serve drivers throughout the community with a wide range of vehicles at a number of different dealerships. In 1991 we first acquired an INFINITI franchise, and, in 2007, we opened a new state-of-the-art INFINITI facility, the largest exclusive INFINITI dealership in the country. All of this comes because of our genuine commitment to our customers and quality services. In addition to our impressive INFINITI inventory, you’ll enjoy our luxurious client lounge with Wi-Fi, snacks, and iPads, complimentary loaner INFINITI models whenever you have to leave your vehicle at our service center, and friendly, hassle-free customer services every single time you visit. We also recognize our part in the community. That’s why we’ve given back to some of the major charities and local organizations. These include Austin Pets Alive!, March of Dimes, Caritas of Austin, Austin Symphony, Long Center, The Blood Center of Central Texas, Meals on Wheels & More, the Austin Children’s Shelter, and many more. Get everything you’re looking for from an auto dealer at Austin INFINITI, serving drivers throughout the Austin area at 8140 Burnet Rd, Austin, TX 78757. Before you visit us, don’t hesitate to contact Austin INFINITI with any questions!